Our product range includes a wide range of steam hose and high temperature steam hose. With the rich industry exposure, we engaged in offering a wide range of High-Temperature Steam Hose to our clients. Synthetic rubber with excellent heat aging properties. 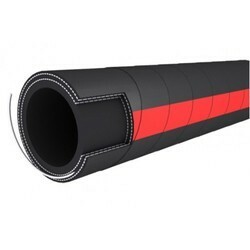 EPDM rubber tube resistant to steam up to 165 Degree Centigrade Reinforcement: High tenacity Cotton yarn.